Whose idea was it to record a DVD of well-known songs in a cathedral in (almost) the middle of winter? According to Rick Wakeman after the show, it was his, as it was the only time he could get the venue to record the footage for the future release. Fortunately, we had just got past the coldest spell, but it was still quite cool in there. It didn't seem to bother Wakeman however, who took us on a historic, musical journey of tunes that were close to him and naturally, being Wakeman, all had a story. Like 'Summertime' from 'Porgy And Bess' where Wakeman told us how he used to play this with his dad and consequently he was doing this as a tribute. 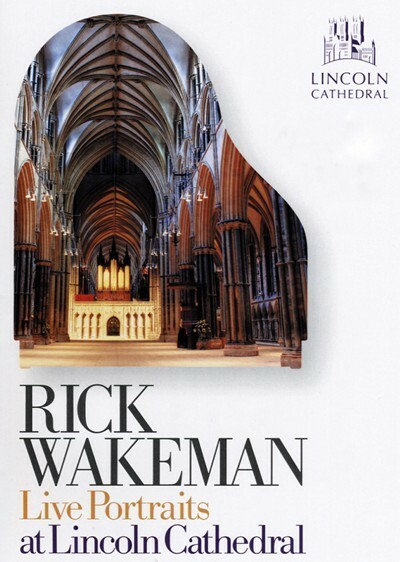 However, half way through, something made a loud crash in the cathedral, which meant that Wakeman had to stop and play it again with the comment that it was probably his dad indicating that he wasn't playing it very well and he also quipped that he thought he would have settled by now. He also told us how his great friend David Bowie asked him to play Mellotron on 'Space Oddity' and how the instruments were very difficult to keep in tune, so Wakeman developed his own way of doing this. He played 'Help' as a ballad, which was the way that John Lennon actually wrote it, and 'Wondrous Stories' where he explained how that came about thanks to Jon Anderson sending him the track to listen to while Wakeman was not actually a member of Yes, and how he re-joined the band because of this. The most amusing tale was how he was asked to record music to go with film footage of the 1977 Innsbruck Winter Olympics (released as a film 'White Rock' in the late seventies – it toured cinemas with a concert recording of Genesis) while on tour, by being sent individual recordings of the different disciplines, only to realise whilst at the studio doing the recording, that he had completely forgotten to compose a piece for the ice skating. Being a video recording, the evening was obviously different to a normal concert situation and he had explained that things would maybe have to be re-recorded for various technical reasons. As it turned out, he only re-played 'Morning Has Broken' and the middle part of 'Merlin' because he was not happy with them himself. When he had completed all the music for the DVD, due to the reception from the audience, he decided to do an "encore" of two tunes – 'Gone But Not Forgotten' and 'The Jig' which was recorded for 'Cirque De Surreal' back in 1994/95. Although this was a different kind of situation in which to watch a musician, it was no less enjoyable. Whilst it was not the warmest place to sit and witness the proceedings (I actually had to put my jacket back on half way through), I don't think anyone there would have wanted to miss it. It's not often you get the chance to see a brilliant musician and raconteur demonstrate their skills in such beautiful surroundings.